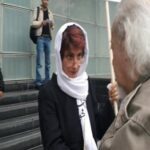 HRANA News Agency – Nasrin Sotoudeh along with Peyman Aref and Mohammad Nourizad are going to continue their sit-in in front of the Lawyers Association next day. 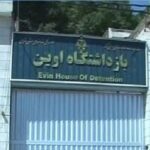 HRANA News Agency – 4 political prisoners of ward 350 of Evin prison came to vacations. 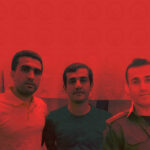 According to a report by Human Rights Activists News Agency (HRANA), Said Jalalifar, the human rights activist who has been sentenced to 3 years of prison, Behnam Ebrahimzade, Morteza Khosravi Rad and Ali Amini came to vacations today. Nasrin Sotudeh also had come to vacation on 23rd of June.